I just wanted to take just a brief moment and give everyone an update. Today marks day seven of National Novel Writing Month (NaNoWriMo). If you have been following me, you know that I have signed up for the challenge to write 50,000 words or more during the course of November. 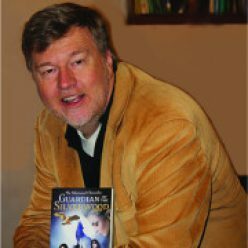 I have chosen as my project to continue work on the Silverwood Chronicles of which I recently completed the second draft of book three this weekend. Book Four, entitled “Friends from Mountain Forge” is well underway. Two full chapters have been completed and a prologue of sorts. I will begin chapter three tomorrow with a current word count of 12,505 words so far. So far, this adventure in writing has been challenging as it has been fun. Chapter three will be interesting as it is the last chapter that I currently have any kind of outline created for. After that, we’ll have to see what happens. I may continue to write using my unfettered imagination, or I may have to take a day and focus on building out more of a structure before continuing on. At this point, I’m not sure. I have about three or four days to decide before I’m forced into a decision. 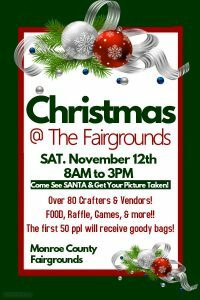 Speaking of five days — see how I did that — don’t forget that Christmas at the Fair Grounds is this Saturday from 8am – 3pm. Please share this with your reading friends. 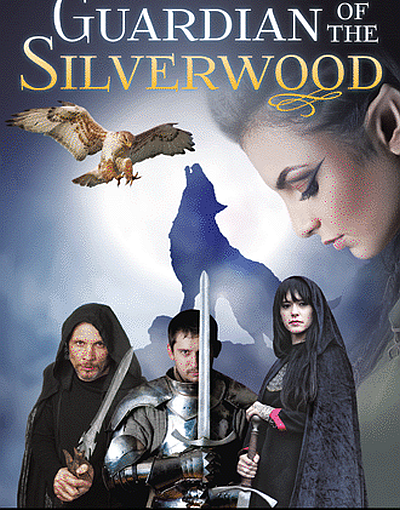 I will be promoting both the Silverwood Chronicles and the children’s series, Chel & Riley Adventures while I’m there. I will also be demoing the Chel & Riley Board game that you see advertised on my website. Any of these items would make a great gift for someone in your circle of family and friends. My Creative Consultant will be there and she will be showcasing some custom sketches that will most likely be included in book three. We may also have some alternate covers for you to peruse and give us feedback on. Please share this with your Facebook friends. Encourage anyone in the Monroe County area to come out and say “Hi!” I would love to catch up and see what new adventures have been happening in your life. Until next time, Blessing to you, and happy reading! Previous Previous post: Let the Marathon Begin!